DECEMBER 24th, : Uribe gets a $2MM signing bonus with $6.5MM in year one and $6.5MM in year two, tweets Jon Heyman of CBSSports.com. 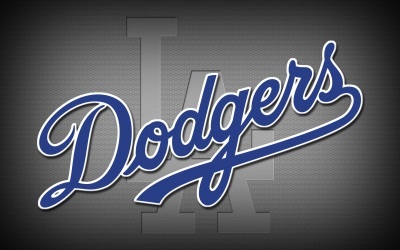 4:30pm: The Dodgers confirmed the signing. DECEMBER 14th, 7:17pm: Uribe will receive $15MM in the deal, ESPN's Buster Olney tweets. 3:52pm: The Dodgers are set to re-sign Juan Uribe to a two-year deal, according to Ken Rosenthal of FOX Sports (via Twitter). Uribe is represented by Praver/Shapiro, according to the MLBTR Agency Database. Financial terms of the deal are not yet known. Earlier today, Dodgers GM Ned Colletti said that he was hopeful that he could bring the third baseman back to Los Angeles. It was a mild surprise to hear that given the reports indicating that the Dodgers were set to move on after a lack of responsiveness from Uribe's side to their latest offer. The Dodgers were said to be seeking a one-year deal with an option for year two but it would appear that the veteran has secured two guaranteed years. Uribe hit .273/.331/.438 for the Dodgers last season, a dramatic improvement over the .199/.262/.289 line he gave L.A. in the previous two campaigns. The new deal keeps the 34-year-old in a comfortable spot – he's spent the last three years in L.A. and thanks to stints in Colorado and San Francisco, he's spent all but five of his 13 big league seasons in the NL West. Uribe made over 100 starts for the Dodgers in 2013 and was incredibly valuable, posting the fourth-best WAR among all free agents. It's a far cry from his position prior to the '13 season when some wondered if the Dodgers might look to cut Uribe and eat the $7MM remaining on his deal. The Dodgers were looking at re-signing Michael Young to be their everyday third baseman as a contingency plan and while he could still return to L.A., it would appear that he'd have to sign on in a different role. The Marlins and Rays were also among the clubs with interest in Uribe. MLBTR's Tim Dierkes predicted that Uribe would land a two-year, $12MM deal at the outset of the offseason. Meh…I would rather have young. Butcher is putting it mildly…M. Young is probably the worst defensive 3B in the last couple decades. Like Tre-Day mentioned, 2013 Uribe is a significant upgrade to Young at this point in their respective careers. Id much rather the bat of 2011/2012 Young than the bat of 2011/12 Uribe, but based on this past season, Uribe is better now. Hell, if Uribe can just have a consistent bat and hit league average, I’d be cool with that, he’s always been a great fielder so I’ll still take his glove over Young’s. You are alone on this one King Mojo. Young’s days of perrenial 200+ hits, .300 AVG are pretty much done. Uribe’s defense alone made him more valuable than Young last year. Furthermore, Young is talked about as a liability defensively at 3B now. Given that we have a strong pitching staff, I will gladly take Uribe’s superior defense. 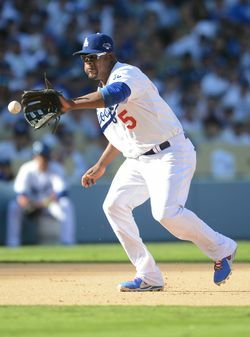 Realistically though, I don’t think Uribe will be a terrific offensive asset, but he most certainly will not be a liability. Do I think he’ll bottom out hitting below .240, no. Do I think he’ll clearly .275 again…I’m skeptical of that. I think he is more likely to increase his ISO and HR totals than maintain his AVG. At two years, it isn’t half bad for Uribe. Plus, he brought a little bit of maturity to both Puig and Han-Ram in the clubhouse and helped keep their heads on somewhat straight. He’ll be a great mentor for Puig I think. I am pleased he is coming back, and hopefully it is at a reasonable rate (less than $10 million AAV). “most certainly will not be a liability” seems like a stretch given he was a massive offensive liability 2 of the last 3 years. I was referring to his defense mainly in that comment. His defense at least won’t be a liability. In fact it is his most valuable asset. Because there honestly isn’t much else out there on the FA market. And the trade market is pretty thin as well. I’d rather take a flier on Uribe, maybe sign Young too if possible to be our utility infielder, and hope that Corey Seager can develop so we can have an infield of Han-Ram, Guerrero and Seager within a year or two. Don’t “we” need a bench that’s good? 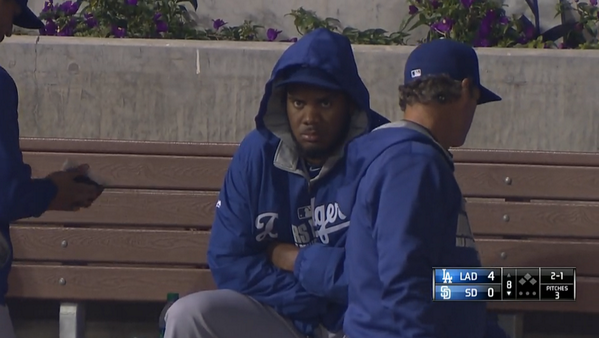 Worth it just to see Uribe/Puig/Hanley angering the Diamondbacks and other people who hate fun. When did Hanley anger the Dbacks? Probably that time he seemed to genuinely enjoy what he does for a living. You guys need to reevaluate the actions if your players. If our players what now ? 6-27 in the FA Prediction Contest. Hell no! #1 has 12 correct picks. Good job, I’m 7-27. This year FA been crazy. good move. uribes defense can’t be understated. Young at 3rd and Hanley at short would’ve been hell. and hopefully seagar will be ready to step in in 2 years! Hanley and puig have their gorilla back, all is well. Obviously floating the Young rumor got Uribe off the dime. I’m thinking 2 for 16 is fair with this market. Marlon Byrd and Uribe each have had there fair share of difficulties before their strong play from last year. Since he has made a productive campaign only during contract seasons, I am a bit nervous about 2 versus a 1 and 1. Defensively he complements Hanley if the bat is average at the least. I would now try a deal for Eric Chavez as insurance/offense/bench. 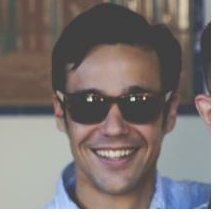 Apparently, Colletti thought Amaro was hogging all the negative press. ill take uribe on a 15 mill 2 year deal. since he was the best option out there other then Eric Chávez who had played over 100 games once since 2006. Any reason why this deal is receiving praise, but Marlon Byrd’s identical deal was laughed at? I think Uribe’s deal is pretty solid, but besides age, how different are these guys, as shown by their deals? Uribe plays a position that is far more scarce to find viable talent, and he’s one of the best defensive players in baseball (or, at least, he was last year). It’s generally easier to find corner outfield bats. I also think Byrd’s PED usage makes some people hesitant. But Byrd’s deal could very well be fine, too. Let’s face it, the Dodgers are just hoping that he doesn’t fall off a cliff again. If he does, it’s a relatively modest contract and they can explore trade options in-season if necessary. I think it is mostly dodger fans who are relieved to have somebody to play 3B. He’s so great with the glove all I ask is for an average bat. Major difference is position and scarcity of the position available. Look at all the outfielders available: Angels just traded away two good young OF, the Dodgers have made 3 of theirs available and this years free agent class was very deep too. Michael Young was LA’s back up plan to Uribe, tells you what was out there. Uribe also just had his best dWAR since he was 22 and never has had a negative dWAR season. Byrd has been average defensively his entire career. All things equal its always easy to find a bat to stick in a corner OF spot. Nobody’s made as much out of a couple of hot streaks in walk years than Juan Uribe. Uribe is ok. There aren’t very many good 3b. You would prefer power at the corners and defensive up the middle. How about the Cubs’ Barney as placeholder / insurance for Guerrero? Great defensively, and he could rebound offensively. Juan has parlayed Two Prime Time Home Runs and “good teammate” status into what has become a 5/$36 mil stay in El Lay. ….And who says Hollywood is still not the place where dreams come true! Has 1 good year on a 3 years contract. Gets 2 more years. Uribe at $15 million. Why would any high school athlete play a sport that is not baseball? Lefty kid playing volleyball? Start pitching, they will say you are “projectable”. There is so much money in the sport now. Honestly, that is a real solid line-up. You are looking at 3, potentially 4 good .300 AVG guys who have proven they can do it before (Han-Ram, Puig, Kemp, even Crawford and Gonzo). 5+ 20HR potentials. Got good speed top to bottom, good defense, and good overall plate discipline. Most of these guys maintain an average or below league average K%, and post average or better than average BB%. I’m excited to see how Mattingley will arrange the lineup and how Guerrero adjusts to the majors. Additonally, it will be interesting to see how the four man outfield will shake out. If we only had a DH slot hahaha – then this lineup would have all its problems solved. 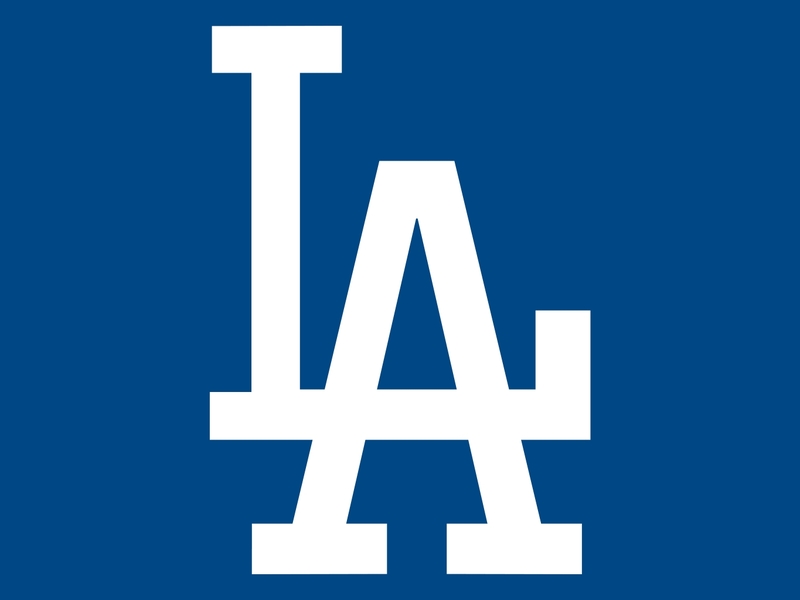 What are your guys things you are looking forward to most this year, and what are you most concerned about with the Dodgers lineup this season? Me personally, I am excited to see how the outfield shakes out and how Guerrero performs. On the flip-side I am concerned about if Kemp can stay healthy, and subsequently if his shoulder surgeries sapped a ton of his power, concerned about Puig adjusting more to the league as they adjust to him with two-thirds a season of data to go on with him, and finally how Guerrero can adjust to the bigs leagues – as he is our only option really at 2B right now.